My solution? Movies. Probably not the best solution but hey, it’s been a while since the last time I’m in a mood to watch kmovies! Master’s Sun introduces me to So Ji-sub and while I’ve seen him everywhere in the kdrama blogosphere, I’ve never really watched him in anything except the movie Only You with Han Hyo-joo. My memories about that movie was vague, so I decided to hunt for his movies. Rough Cut was my first pick, simply because I intended to watch it before but the internet connection made it impossible. Wow, I was glad I chose it because Rough Cut draws a very thin and almost invisible line between fantasy and reality, in between the lives of a star and a gangster. Fantasy isn’t always pretty, and reality is, almost all the time, ugly. It’s like giving someone a chance to wear someone else’s shoes for a day and looking at life through the owner’s eyes. Mind-blowing. 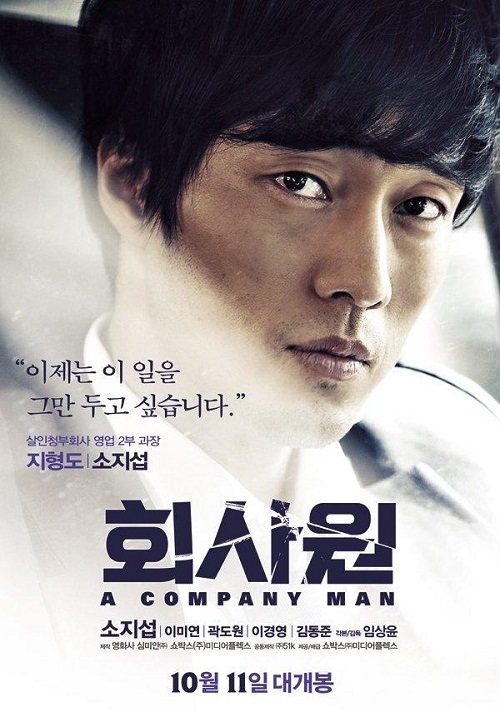 I actually hesitated to watch A Company Man after reading the reviews but the sight of So Ji-sub in a black suit reeled me in. Wait, at this point, I was probably watching it from a fangirl’s point of view instead of paying attention on the plot, because I kept thinking about how good So Ji-sub looked in black suit. Suits! Guns! Assassins! Yes, I was, and still shallow when I think about the movie, but while watching it, it hit me: how the people in the ‘company’ mirrored what we’re doing in our own lives without realizing it. Cool, especially the part before the final credit rolled. Only You felt like a distant memory, so I decided to watch it again. Not sure whether I shed tears back then but I was bawling after finishing this one. A pleasant watch and the first part was so lovely that I ended up watching it again for three times. Only the first part, where everything was like rainbows and sunshine with a light rain in between them. Then, I remembered that I haven’t watched Secretly, Greatly and was surprised that the movie was a little over two hours long. Well, it was worth the wait since I first heard about it last year. A fun ride that made me laugh and cry at their antics, but it might have dragged a bit in the second part of the run. Lee Hyun-woo was so cute in this and the way he (or his character) looked at Kim Soo-hyun in some scenes resembled the look a girl gave a guy. Maybe he admired his leader so much….but his ideal superior wasn’t as perfect as he thought he’d be! This one was a pure coincidence. I knew Han Suk-kyu from Tree with Deep Roots and I just happened to see the title somewhere and before I knew it, I was glued onto the screen for My Pavarotti. Amazing. 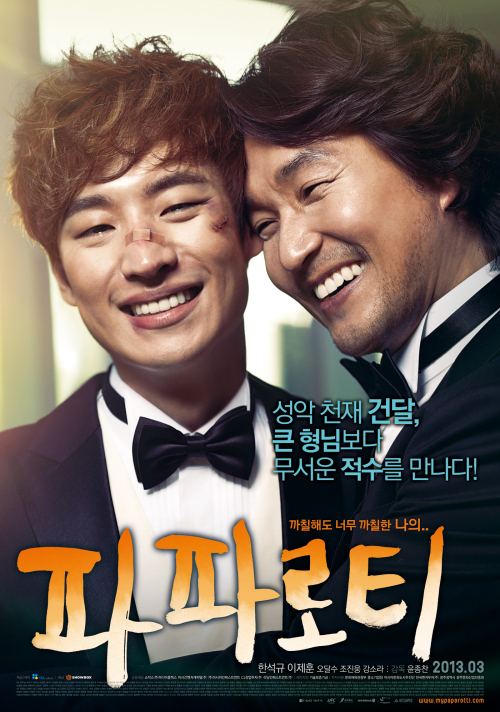 Plus, the movie didn’t rely only on Han Suk-kyu, but it focused more on Lee Je-hoon’s character. And I fell for the character, Lee Jang-ho. Darn, this one was good. Inspirational stories were always tear-inducing for me but My Pavarotti made me cry and smiled like a proud mom seeing his son performing on a stage (as if I have one…). It was worth the time despite being quite long, and I think Lee Je-hoon should stick with movies when he returns. With one week left until the hectic life resume, looks like I’m going to spend my time munching on snacks while watching movies. Any recommendation regarding decent kmovies? I love guns and fighting scenes but I can’t really stand violence like tortures. Weird, right? Anyhow, gotta have some fun while waiting for Master’s Sun. Told ‘ya, I love So Ji-sub in black suit! Previous Post Lee Seung Gi: The New Baker King? Will have to find My Pavarotti. Your assessment of Secretly Greatly is spot-on. The first 2/3 I really liked it and then..I have no idea what happened. The story flounder, I got bored until the action started and then that freaking ending!! So Ji Sub, I’ve been an uber fan girl since watching him in the dreaded Sorry I Love You which except for that horrid ending, I really liked it. All of his movies are some of my top movies (and will be reviewing in November for his birthday). Glad you discovered what I’ve known since 2011!! I’m a bit slow when it comes to catching up with movies ^^; You have to watch My Pavarotti, definitely one of my favorites! I just finished The Berlin File starring Ha Jung Woo. It was quite entertaining if a tad too long. Great action scenes. 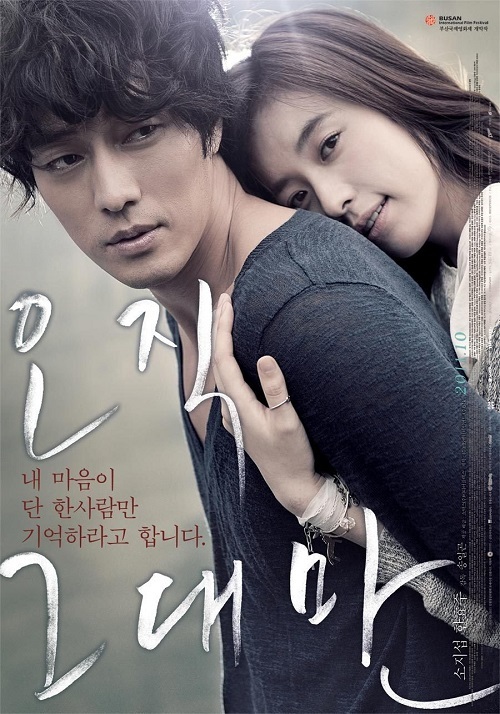 I would also recommend Cold Eyes with Han Hyo Joo and Jung Woo Sung. The story is a lot tighter here and I loved the excellently choreographed surveillance scenes. So Ji Sub in a black suit is definitely drool-worthy! In A Company Man especially, and I liked the message of striving for erm…a work-life balance haha.